Have you recently updated OnePlus 3 to cyanogenmod 14 and now you want to root your device? 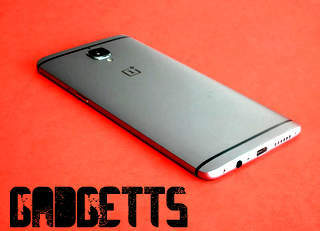 Then you are at the right place.Today in this guide we will teach you how to root OnePlus 3 on CyanogenMod 14 without pc.So without wasting your time lets root your OnePlus 3 without computer. Rooting is a process which allow smartphone user to attain privilege control to their device. One of the main reason we root our smartphone is to overcome some barrier and limitation.After rooting you can can change the system application and you can install third party applications. OnePlus 3 was launched in June,2016 via a flash sale held by Amazon. Before we teach you how to root OnePlus 3 on cyanogenmod 14 without pc lets have a look at its specification. OnePlus 3 comes with qualcomm MSM8996 Snapdragon 820 chipset with quad core 2x2.15Ghz and 2x1.6 Ghz kryo processor .OnePlus 3 also comes with adreno 530 GPU. OnePlus 3 is packed with 5.5 inch optic AMOLED touch screen with 16M color.OnePlus 3 also comes with 1080x1920 screen resolution and 401 pixel density.OnePlus 3 alos support multitouch and it is also protected by Corning gorilla glass 4. OnePlus 3 comes with 64 Gb internal memory and 6 GB RAM. OnePlus 3 comes with 16Mp primary camera with features like phase detection,OIS,LED flash .OnePlus 3 also comes with 8Mp secondary camera. OnePlus 3 is powered with a 3000mAH battery. CyanogenMod 14 is the best and most used custom rom for android users and The method by which you root Cm14 is as same as you root Cm13. First charge your OnePlus 3 to 100%. Now reboot your OnePlus 3. Nowhead to setting of OnePlus 3. Go to 'About Phone' in Setting. Now tap on 'Build number' for several time till you get a notification that you are a developer. Now open Developer options and you can see "Root Access". Initially Root Access is 'Disabled'. Click On Apps and ADB or ADB only. It will ask you to allow root access .